Angela delivers key services across the public and private sector. She has worked extensively with NI growth companies, planning and delivering on expansion and funding strategies. Particular private sector interests include technology-driven businesses and renewables. She has delivered projects across all Government departments. Angela is a past Chairman of Chartered Accountants in Ireland - Ulster Society, and a former Board member of the Northern Ireland Science Park Foundation. 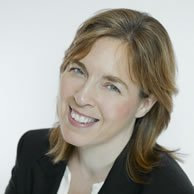 She is a current Trustee of NISP Connect, the not for profit organisation supporting technology start- ups. Angela is a member of the Chartered Institute of Accountants in Ireland. Niall has strong business relationships throughout the island of Ireland across a range of business sectors including renewables, environmental, hospitality, food, and property. Over recent years, Niall has worked with a number of NI businesses that have been seeking to enter the waste recycling market. He has been particularly involved in assessing technology, operational costs and market potential. In the last two years, Niall has worked on medium scale wind developments with NI?s largest developers. Fill out the form below to contact us with any enquiries. We will get back to you as soon as we can.